He hit an incredible 243 for Victoria recently in the Sheffield Shield (cricket). He has taken indefinite leave from cricket citing mental health issues. AFL players like Dayne Beams, Taylor Adams, Connor Blakely and Matthew Lobbe have opened up about their personal experiences with mental health in a video series produced in partnership with the AFL Players’ Association. The Courageous Conversations video touches on Beams’ mental issues following the death of his father; Blakely’s challenges with social media, how mental illness has affected Matthew Lobbe’s family; and anxiety experienced by Taylor Adams when he moved from Greater Western Sydney to Collingwood. All elite sports stars. All battling mental health issues. All not afraid to talk about it. This is why I “mo”. The state of men’s health is in crisis. Men experience worse longer-term health than women and die on average six years earlier. Prostate cancer rates will double in the next 15 years. It is the second most common cancer in men, and rates are on the rise. By 2030 there will be 1.7 million men living with prostate cancer. Testicular cancer rates have already doubled in the last 50. Three quarters of suicides are men. Poor mental health leads to half a million men taking their own life every year. That’s one every minute. During November each year, Movember is responsible for the sprouting of moustaches on thousands of men’s faces (supported by their Mo Sistas - female supporters) in Australia and around the world. There is a serious side to the Mo growing. The money raised goes to support and raise vital funds and awareness for men’s health. 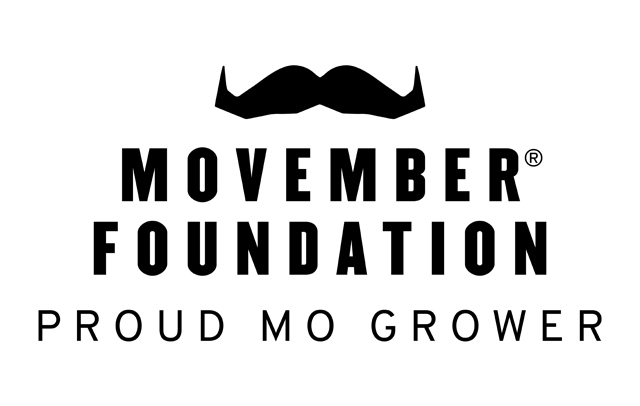 In 2017, Mo Bros and Mo Sistas from across Australia helped raise $24.1 Million for the Movember Foundation. Administrative costs totalled just 21.4%, with 7.7% retained for investment in future campaigns. 70.9% of all Australian funds raised have been devoted to helping men live happier, healthier and longer lives. The Movember community championed men’s health in 20 countries across the world. Through the growth of 301 943 moustaches (Mo sistas included! ), $88 million was raised. The focus for funding, as it was in previous years, is for prostate and testicular cancer research along with mental health awareness campaigns. They are committed to raising awareness on the dangers of physical inactivity and investing in initiatives that encourage physical activity. Physical inactivity is a big deal. It’s the fourth leading risk factor for global mortality, causing 3.2 million deaths globally per year. I am overwhelmed each year by the donations and the jibes I get from my fellow staff and the students I teach. Men need to take control of their health. They need to have conversations about their well-being. It is about educating and empowering men when it comes to their health. The casual discussion about moustache growth can easily and effectively turn into a conversation about men’s health. Each Movember I literally become a walking and talking billboard for men’s health. It creates authentic conversations and the literature Movember post on their website, communicates the health messages in a way that is meaningful to men, their family and their peers. On a personal level, it gets me to “take a good, hard look at myself” and I become more engaged with my own health. I think about the areas of my physical, social, spiritual and emotional health that need preventative action. According to Movember research, Movember participants spend more time thinking about improving their health, visiting a doctor or discussing their health with others as a result of the Movember campaign each year. Movember provides a simple strategy for men. They are strategies we ALL can do to take control of our health. Why not get that special man or special men your life to do the same? I appreciate the chance to raise the issues, encourage the conversations and weather the storm of ridicule and giggles. I appreciate the chance to talk to the men I work with about their health. To discuss with other men on staff and with students in my school about the joys and struggles of marriage and raising kids allows me to realise I am not alone. This great cause brings to the forefront of my mind, for one month every year, the fact I am not bulletproof. Movember fights the good fight. It is changing the face of MY health. It is having an impact. Why not encourage the men in your life to head to the doctor and let this year be the start of their annual check up? I had a colonoscopy this year- just to be sure. I’ve had my checkup this year - now over to you! If you notice something, do something! Russell Modlin teaches English and Physical Education at a Christian School on the Sunshine Coast. He is married to Belinda and they have three children.